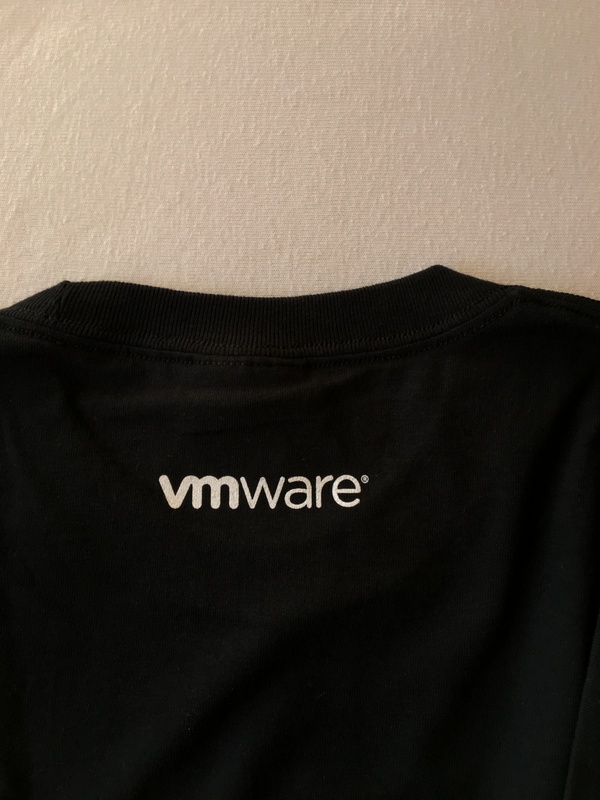 Quality: Seems like VMware has degraded the quality of their T-shirt this year. Last years pre-shrunked cotton was really good after washes, this one seems a bit too stiff. It however is still alot better than some of the else T-shirts I’ve collected the other years. 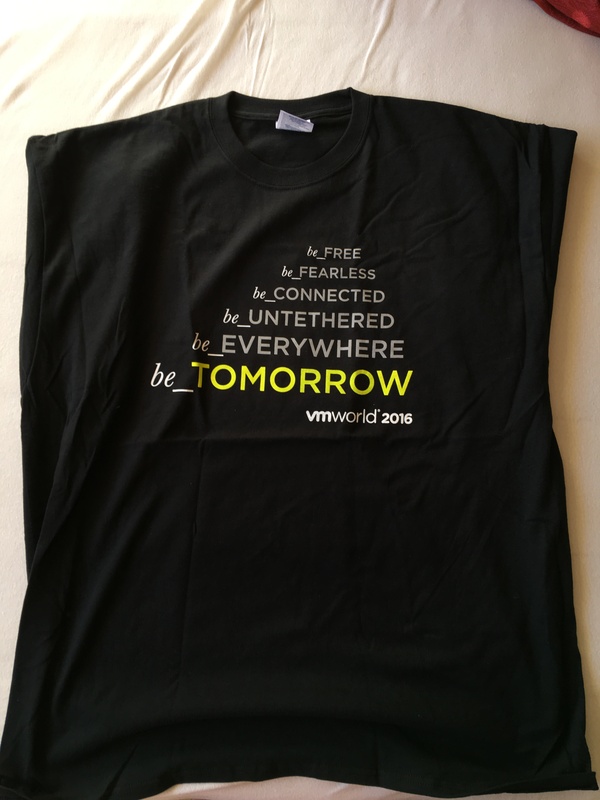 Print: A few variations of the be_TOMORROW message that was all over the conference. 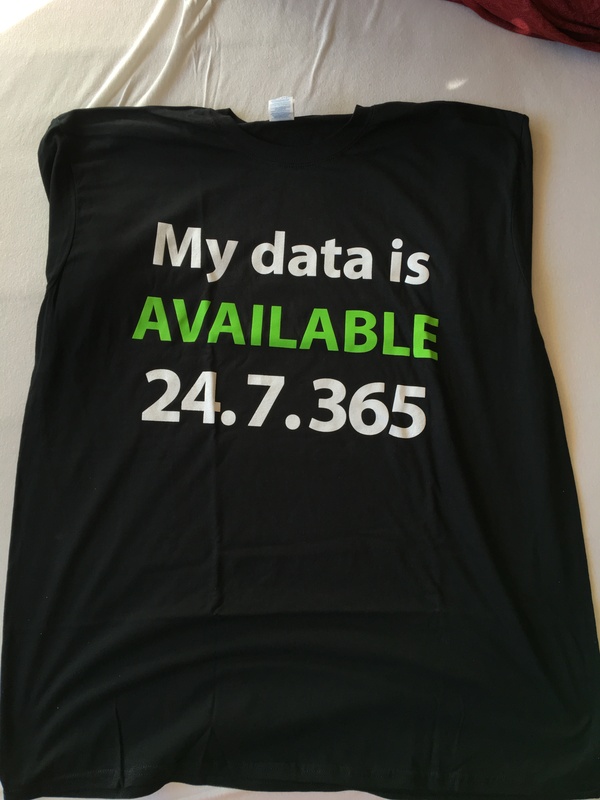 Not too excessive, but still a bit bigger than I would have liked it, if I should wear this shirt anywhere but at VMUG’s and the like. 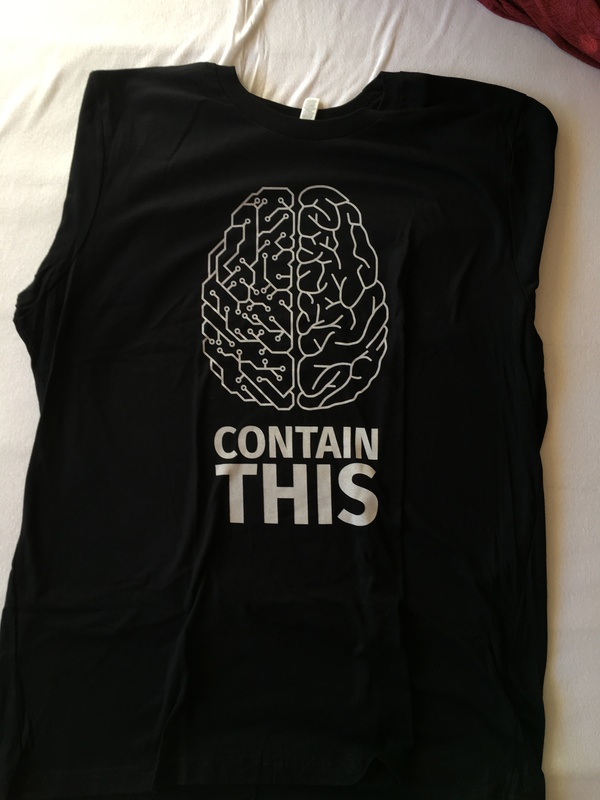 Conclusion: An ok Shirt that doesn’t feel all that soft, but still quite ok.
Quality: Feels really soft to the touch and hope that it feels this soft after a few washes. Not sure what the Ring Spun means but I hope that it’s somewhat like the Pre-shrunk thing that some of the other T-shirts have, that really keeps the shape of the T-shirt after you wash it a few times. Conclusion: Nice shirt, but the big print drags it down, to get a high score I want a shirt that I could actually wear in public too. 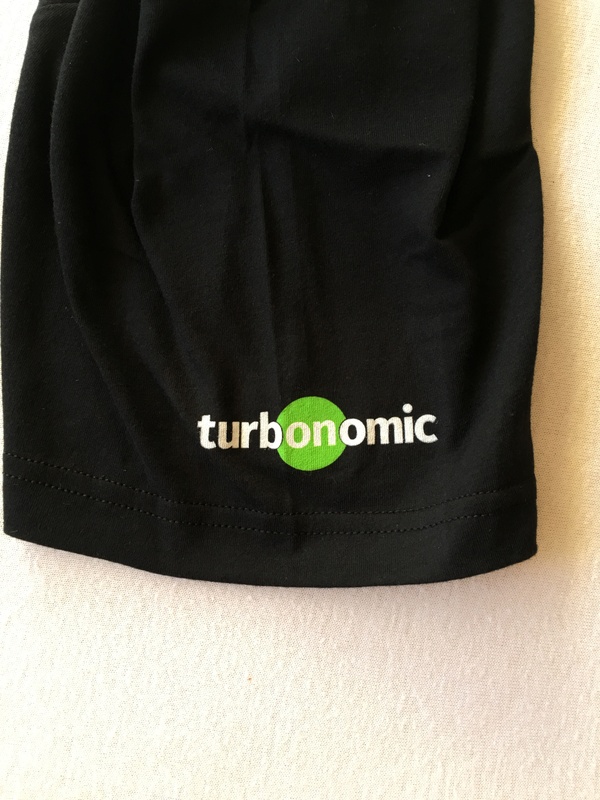 Quality: A nice soft and thin T-shirt that’s from a new T-shirt Vendor that I don’t think I’ve seen before. Hope this stays in shape after washes. 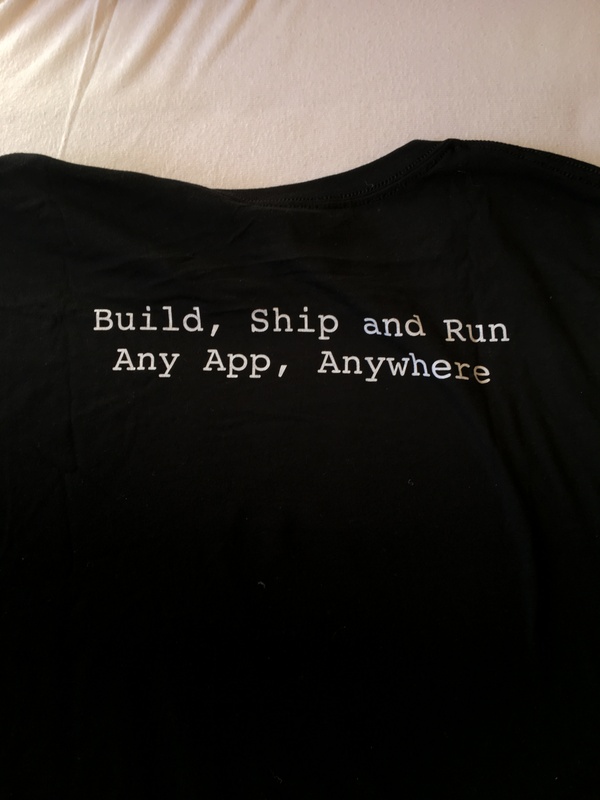 Print: Just the well-known Docker logo on the front and a simple ” Build Ship and Run Any App Anywhere” message on the back. Not too brazen. 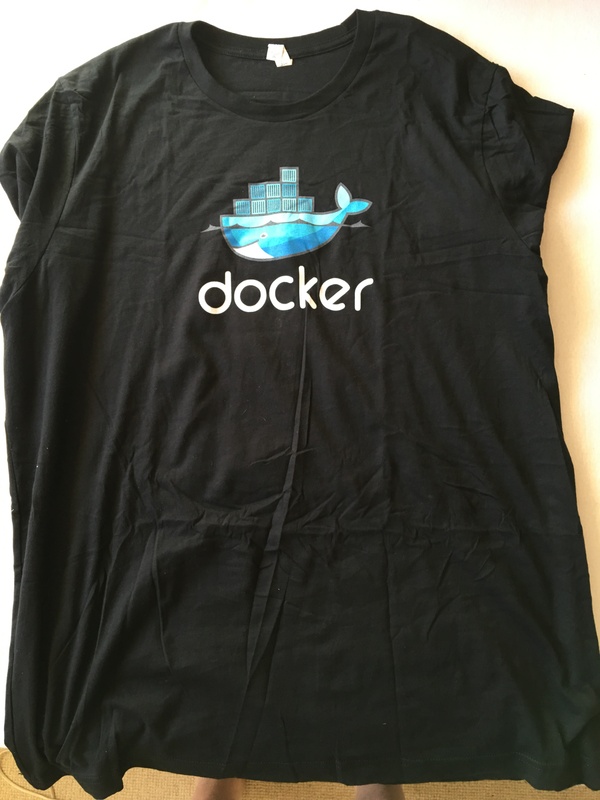 Quality: The same company and same quality of T-shirt that Docker use.